Undoubtedly, the 1970s was one of the most important decades for environmental issues. At the start of the decade, the environmentalist movement had become so influential that the United States government felt compelled to amend the Clean Air Act (in 1970) and the Water Pollution Control Act (1972). This action expanded the scope of the law and gave the government greater enforcement capabilities. Not long after, the Environmental Protection Agency was born. It should come as no surprise, then, that David Trumbull's Silent Running (1972) appeared in this era. Praised for its visual effects, Silent Running tells the story of Lowell, one of four crew members aboard the Valley Forge, a commercial spaceship carrying several massive biodomes which house some of the last remaining natural wildlife known to man. Earth, it turns out, is not so much barren as artificial; its people consume processed cubes of nutrients, and the Earth's surface is devoid of forests or other natural environments. When the crew of the Valley Forge receive orders to detach the domes and destroy them, Lowell, the lone environmental idealist, murders his crewmates and conspires to flee with the remaining dome and a trio of clunky robots. 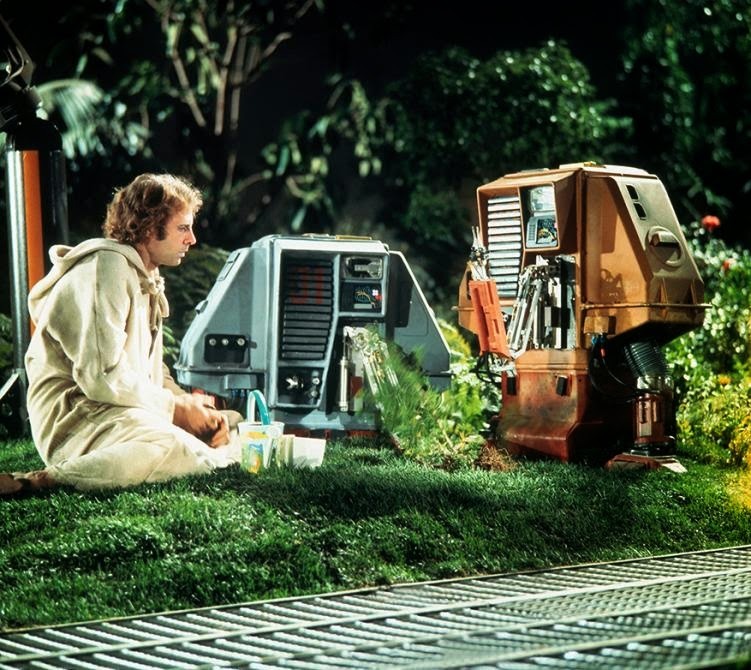 Silent Running most certainly has a lot to say about environmentalism, but what I found most fascinating about the narrative were its attempts to grapple with the question of Lowell's sanity. From the start of the film, Lowell is portrayed as the outsider -- the one weirdo who eats naturally grown foods, who believes in the forestry project, and who finds life back on Earth utterly horrifying. In one of the most pivotal moments in the film, he rants at his crewmates after they tease him for eating a cantaloupe. In that speech, he reminds us that Earth is polluted and synthetic: its temperatures are controlled all across the globe, its food is drawn from processors, and its new generations are growing up without natural environments to appreciate. This moment strikes at the core of the film. For Lowell, life in the domes, as artificial as they are, represents a life that might be on Earth; he's an idealist of the highest order because he exists in a reality where these domes are, ironically enough, the only natural environments left for humanity. That Lowell strikes out on his own near the middle of the film is not insignificant. For much of the film, Lowell's outsider status is not just a simple difference of opinion -- an environmentalist versus the contented. His outsider status is a division of humanity. His crewmates are the faces of a "new" humanity who have discarded an evolutionary relationship to the natural world in exchange for an intellectual relationship with product. Lowell is the "old" face, the humanity which appreciates the natural world, not just because of its splendor but because being human means being connected to the natural. When Lowell does kill his crewmates -- one he kills with his bare hands; the other two he kills after detaching a dome with them inside and then destroying it -- it is an act of madness, desperation, and separation. Lowell's sanity should be drawn into question at this point, not just because he commits murder, but because by doing so, he is severing his ties to his own species. But is he actually mad, or is there something else at work here? From my own perspective, I do not view Lowell as having succumbed to madness. In fact, I think there's something heroic in what he does to save the natural environment, even if his heroism has no connection to a human worldview -- without human recognition, how can he be seen as an actual hero? Lowell doesn't simply run away. 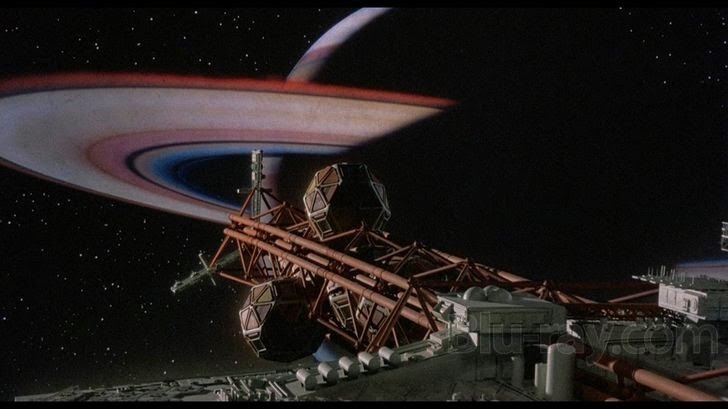 He creates an elaborate plot to convince the other dome ships that the Valley Forge has malfunctioned, sending the ship careening into the rings of Saturn, which the corporation believes will destroy the ship. It's unclear whether Lowell knows he will die beforehand; the ambiguity is later closed off by Lowell's suicide (we'll come to that in a minute). What is clear is that Lowell knows that nothing he can do with words will save the Valley Forge or its last remaining dome from American Airlines (the corporation which owns the dome ships -- no joke). His crewmates never accept his rhetoric, and he knows that he has an even worse chance trying to convince a corporation to save the domes when there is no desire for their existence back home on Earth. Lowell has no choice. If he's to save Earth's natural world, he has to make the heroic sacrifice: sever his ties with humanity and flee. We're asked to weigh this against the sacrifice of a few human lives. As you might have guessed, this doesn't quite work. A search party eventually finds Lowell and the Valley Forge, and Lowell must once more make a decision: allow the dome to be captured and destroyed or do something extreme. His solution: leave one of the robots to tend to the forest, shoot the dome off into deep space, and then use the remaining nukes to destroy himself and the Valley Forge. This scene appears to be foregrounded by the ambiguity I mentioned earlier. Here, there is no ambiguity left: Lowell sacrifices himself to protect the dome. But his sacrifice also means relinquishing to the inner turmoil he has felt since the start of the movie: that he is no longer part of the human race. The human race as we know it is extinct. The salvation of the natural environment must come from the intervention of humanity and its machines. In the concluding shots, we're shown images of Dewey (the name Lowell gives one of his robots) tending to the forest. These moments disentangle the paradox of the domes -- a natural environment reborn from an unnatural one -- by creating a fully self-contained biodome with its own natural environmental "system." No human intervention. No intervention at all. Dewey becomes the God of the new Eden, and humanity becomes something else -- artificial, removed, sterile. Thus, Silent Running reverses the evolutionary development of 2001: A Space Odyssey (1968). Humanity will not evolve and return to Earth with the power of change; humanity's creations will take that power to the cosmos, never to return. It's a pretty intense message for a film that in so many ways shouldn't have worked. Yet it remains, for obvious reasons, a classic. Now it's your turn. 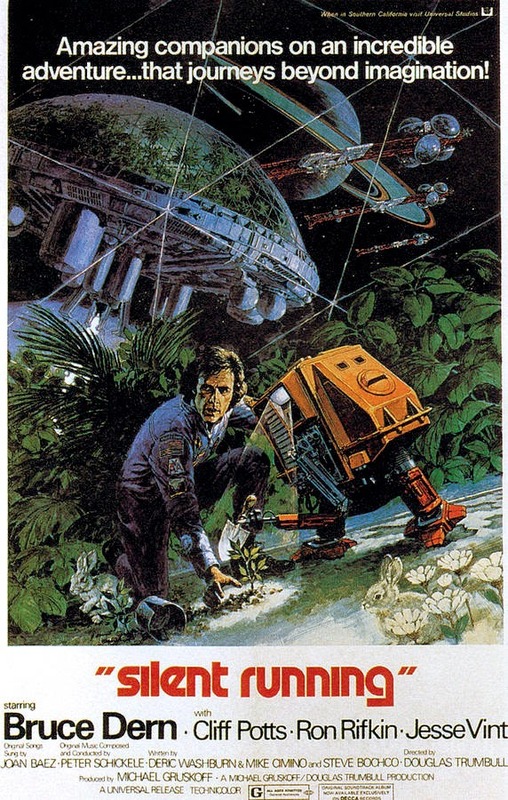 What did you think of Silent Running? 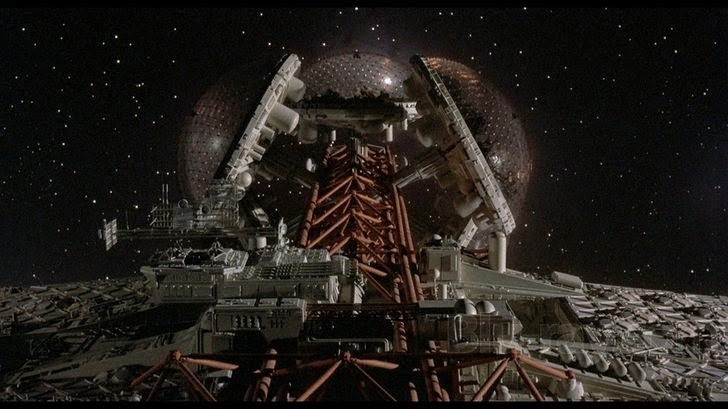 Note: Silent Running makes little effort to explain how the biodomes work as self-sustaining entities. They just do. While it's been a long time since I watched Silent Running, I don't remember ever questioning Lowell's sanity. Certainly he was a murderer, but he knew what he was doing and understood the consequences. He was obsessed over protecting the biodome, but that was the last bit of nature left, so his obsession may arguably be justified. Yes, he was an outsider, but sometime society itself is crazy. We had very different interpretations, I guess. I definitely got the impression that he was being coded as borderline insane. How long ago did you see it? Good question -- I watched it about 20 years ago, so I'm just going with the impression that still remains with me. I might have a totally different reaction upon watching it now. I imagine you had a very different reaction to it than people who saw it in theaters or people who saw it for the first time 10 years later or 10 years after that. I think it would be really interesting to figure out a way to put reactions to films across different generations in some kind of dialogue with one another. How do people who grew up with the Star Wars prequels react to the originals? Do they have the same feeling of distaste that many of us early adopters had? (I'm only an early adopter in the sense that I watched Star Wars as a kid, but seeing as I was born in 1983, that doesn't make me part of that "original crowd"...or not in the same way). I need to give this one another shot. I couldn't connect with Bruce Dern's off-kilter-ness the firs time around, not even as an outsider. There was too much crazy + self-righteousness + whine to his character I could never take what he was doing seriously. I guess that makes me part of artificial humanity? I found his performance a bit...weird, too. I think he settles in when the other humans are gone, but there is something off kilter about it.